In this painting I highlighted a particular intersection that is familiar both to locals and visitors. Locally owned restaurants and businesses line Gay Street. In the summertime, Pearl Alley comes to life with festivals and a weekly farmers market. This area embodies what I love about Columbus and what I wanted to share with visitors to the Convention Center. My warm, vibrant depiction of the scene makes it approachable and welcoming. Jessica is a painter based in Columbus, Ohio. Her works are primarily influenced by urban landscapes she’s visited throughout the US and Europe. Working from original photographs, she creates her own interpretation of the mood and atmosphere of the location, with an expressive color palette and dramatic composition. 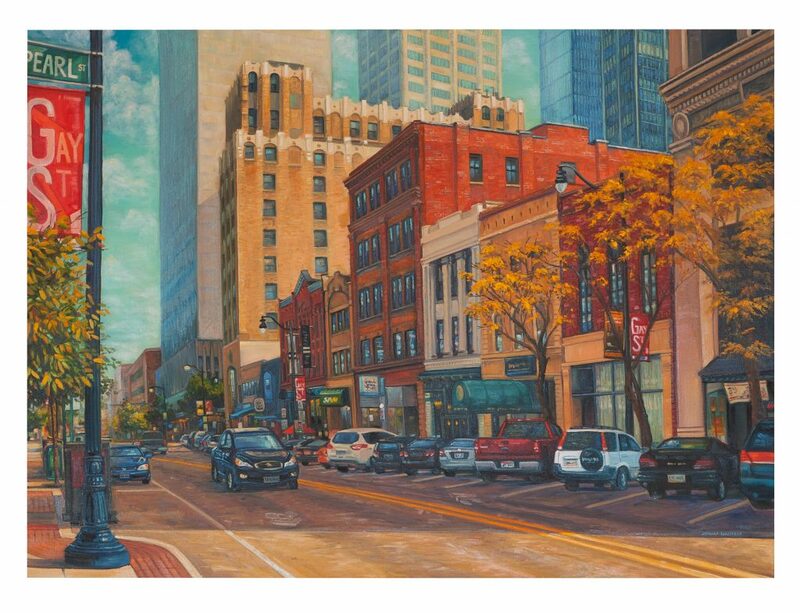 In her most recent works she has focused on capturing iconic scenes a little closer to home; scenes that resonate with her and with others who have lived in Columbus.Jessica grew up in a small Appalachian town near Wheeling, West Virginia where she began painting in oils at a young age. 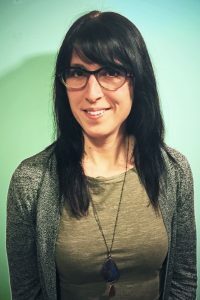 She exhibited paintings locally throughout high school before attending the Columbus College of Art and Design. In 2008 she received her BFA from CCAD, majoring in Illustration. During this time, Jessica spent a semester abroad in Florence, Italy, at Studio Art Centers International.